BEAUTIFUL ROLLING 260+ ACRES WITH A 3,155 SQ/FT HOME. INTERIOR FEATURES: LARGE COUNTRY-STYLE KITCHEN, TILE & WOOD FLOORS, GRANITE COUNTERTOPS, LARGE MASTER SUITE, HUGE LOFT/GAMEROOM, EXERCISE ROOM, UPGRADED APPLIANCES, & UPGRADES THROUGHOUT. EXTERIOR FEATURES: 6 CAR GARAGE W/ROLLUP DOORS, 20KW EMERGENCY GENERATOR, 120&apos;x 80&apos; HAY BARN, 80&apos;x 60&apos; EQUIPTMENT BARN, 3 STOCK PONDS, APPROX. 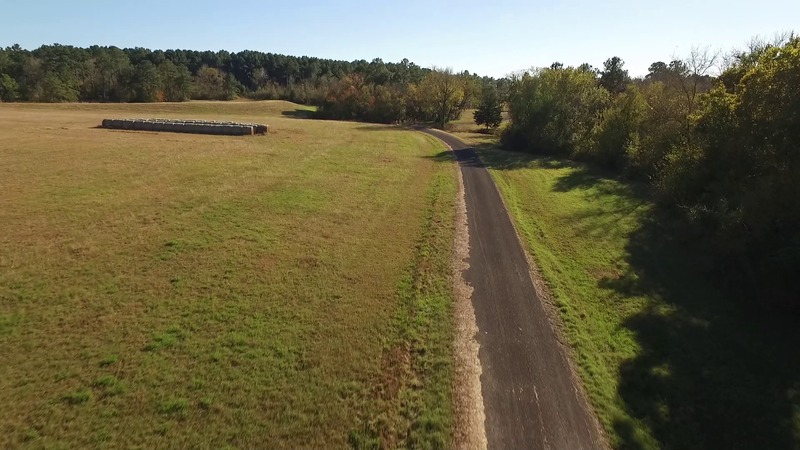 160 ACRES OF IMPROVED PASTURES, 2 WATER WELLS, & PERIMETER FENCED. GREAT VIEWS, WILDLIFE, HUNTING, FISHING & MORE. FROM MONTGOMERY TAKE HWY 105 WEST APPROX. 10 MILES TO PLANTERSVILLE AND TURN LEFT ON FM 1774 AND GO APPROX. 1 MILE AND TURN LEFT ON CR 203 AND GO APPROX. 1.2 MILES TO PROPERTY/ADDRESS/SIGNS ON THE LEFT.